here's my newest addition. Loving this one. New additions. I didnt expect the turtle sketch from Stan, that was a nice surprise. And Kevin threw in 3 books with my club renewal. Woah, that's a lot of ink! Very impressive score! Also, I like how he makes the sais look jagged. 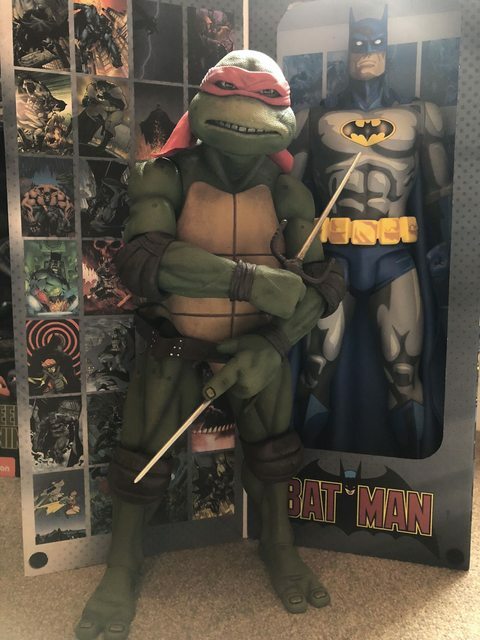 I love his work on the Batman/TMNT crossover so I had to add something of his to my collection. I'm working on something else now as well. I like your Usagi collection dude! That's awesome, dude. It's such a great cover by Jim. And cool Shredder sketch! New Eastman Sketch I had done. 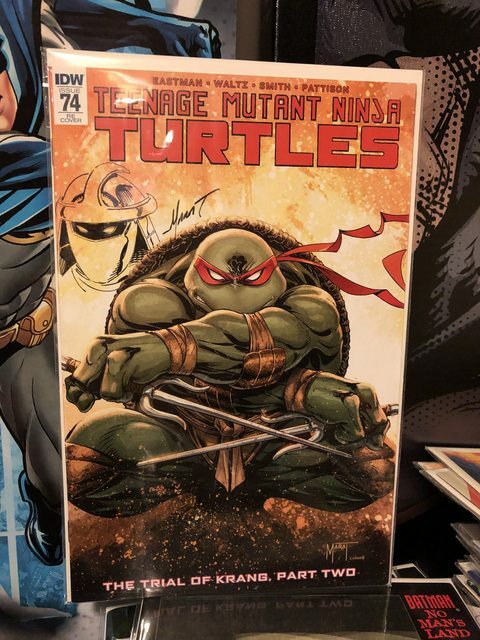 IDW Collection Vol 6 and TMNT 74 Marat Variant remarked with a Shredder sketch. Last edited by Btown; 05-05-2018 at 07:39 AM.